Description: No additional Credit Card fees and only $15.00 Shipping and Insurance! 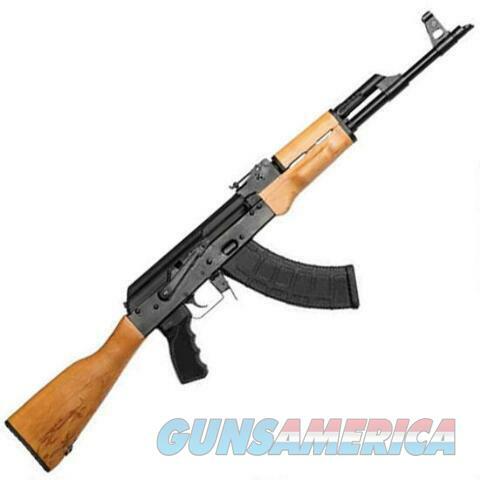 Century Arms AK47 stamped receiver SPECS: Caliber: 7.62x39mm Barrel: 16.5” with a 1”10 twist Barrel Thread: 14x1 LH Overall: 37.25” Weight: 7.8 lbs. Receiver: Stamped Mag. Capacity: 30 rounds Comes with: one 30 round magazine Country of Mfr: USA Product Code: RI2403N. Stock photo used.